Mouse embryonic stem cells during mitosis. 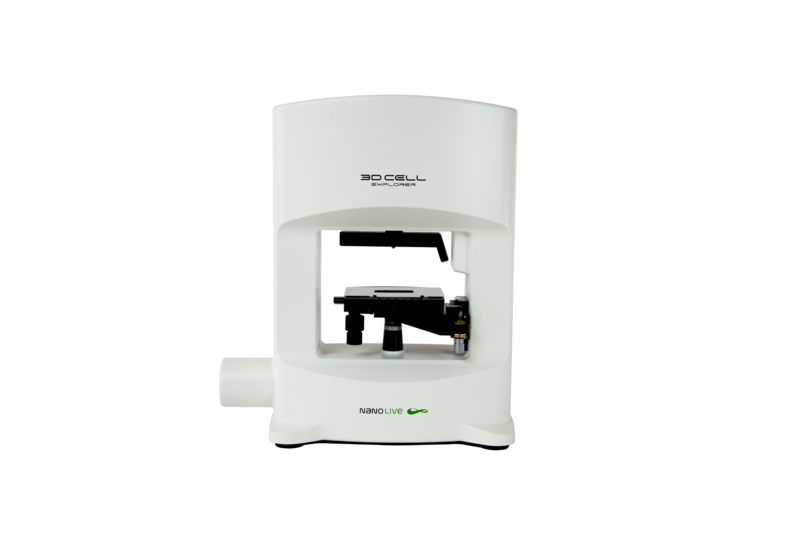 Cell metrics and DNA condensation can be monitored during the whole process. 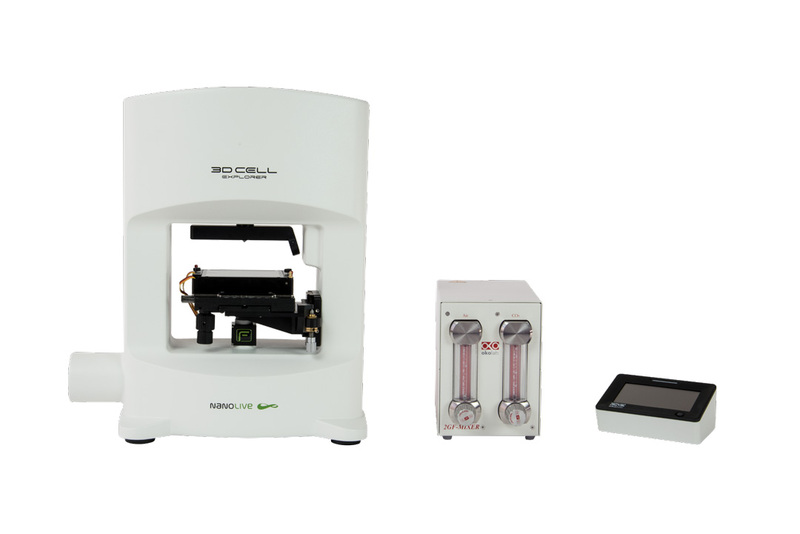 Perform label-free non-invasive accurate and quantitative 3D morphological & 4D spatio-temporal monitoring of live single cells and cell cultures at every second. 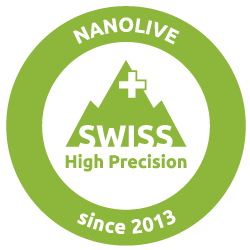 Nanolive’s proprietary digital stain allows the discrimination of different cell types in a co-culture based on their specific refractive index (RI) signature. Mouse melanoma cells (B16) incubated with dictyostelium amoebae cells. 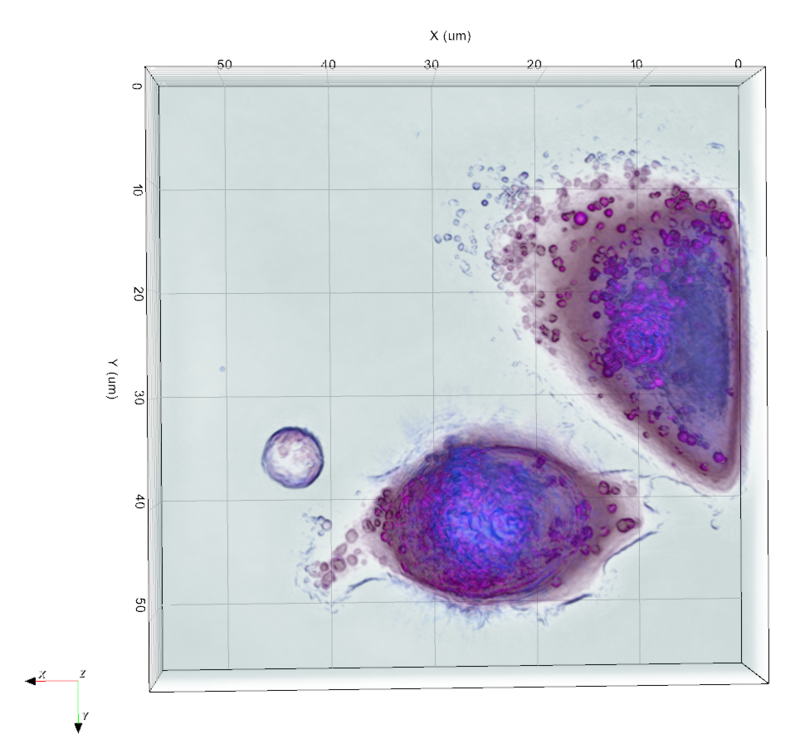 The ΔRI 0.015 between the two cell types allows for segmentation of each cell populations. On the right panel three amoeba cells were zoomed to appreciate the resolution of the system (x,y= 180 nm; z= 400nm) and the lateral view. ID8-ova cells (ID8 murine ovaria tumor cell line transduced with ovalbumin) incubated with T-cells. 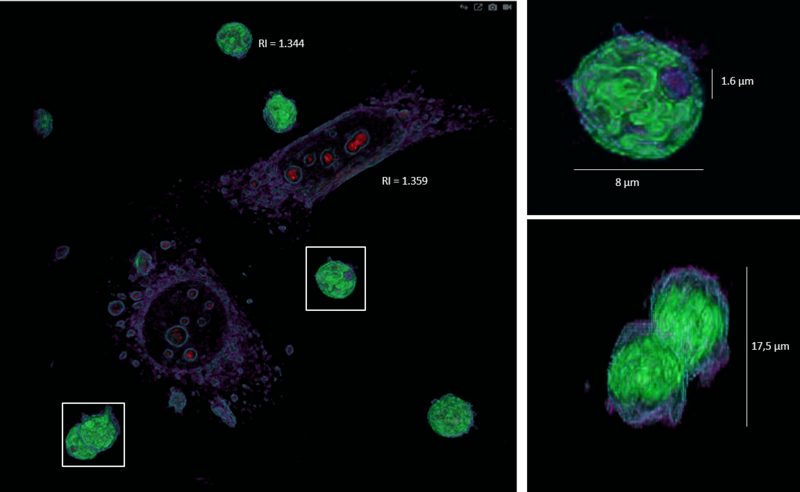 Unveil the secrets of cell-cell interaction, host-pathogen infection, phagocytosis, micro-organism internalization & intracellular 3D localization. Perform marker-free analysis of liquid biopsies, tissue & cell samples saving precious time and reducing sample manipulations. 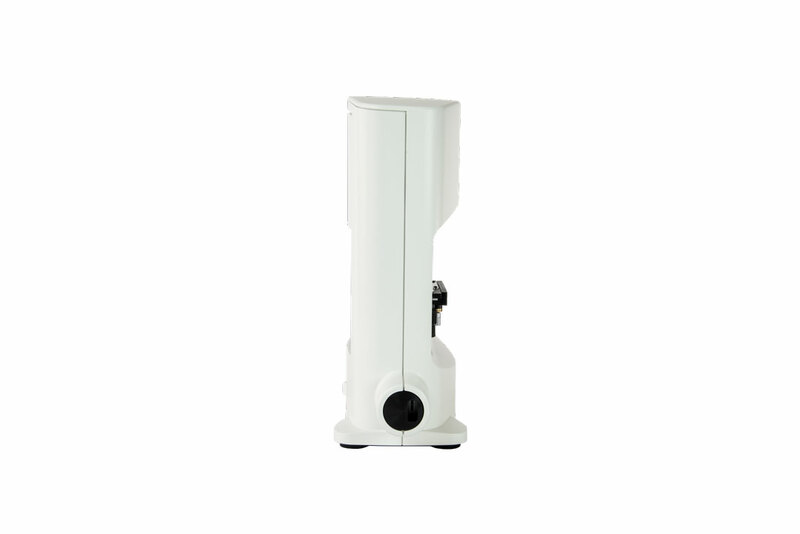 Are you tired of preparing and staining your samples? 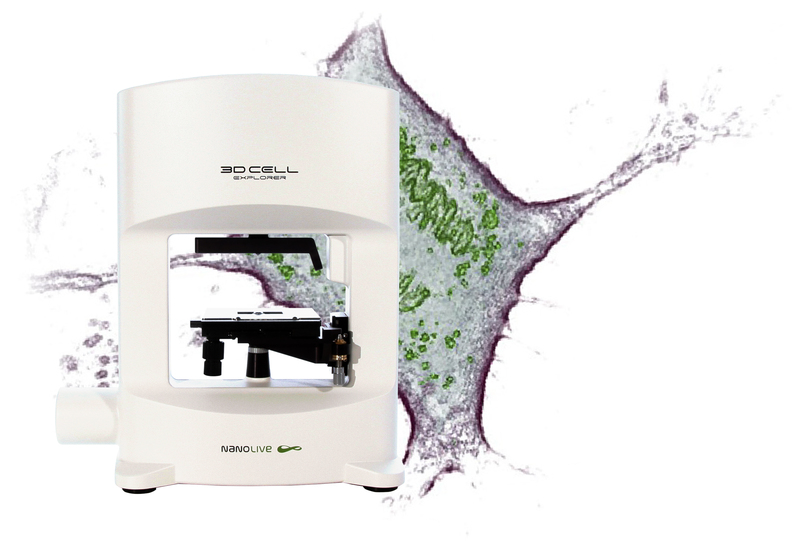 Our disruptive technology allows, for the first time, to explore instantly a live cell in 3D without any labeling or chemical marker. No fixation + No labeling = No alteration of the cell’s normal physiology! 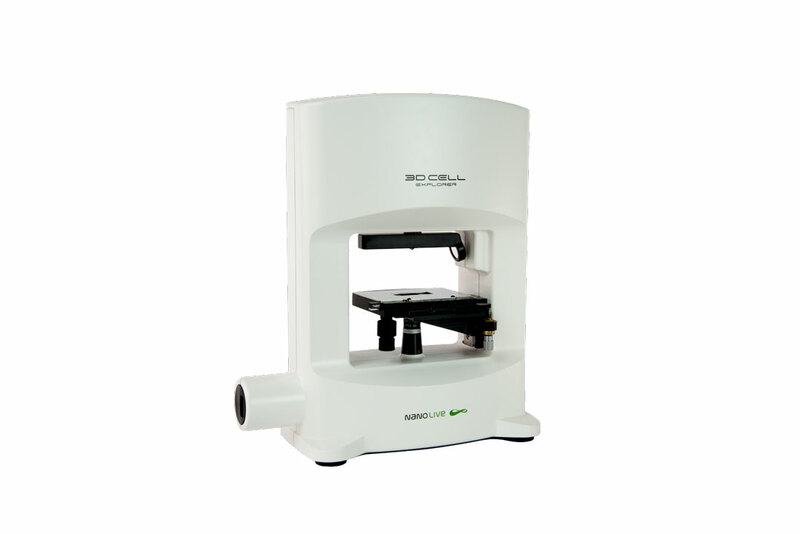 Get rid of bleaching and photo-toxicity: The 3D Cell Explorer uses a low power green laser light. 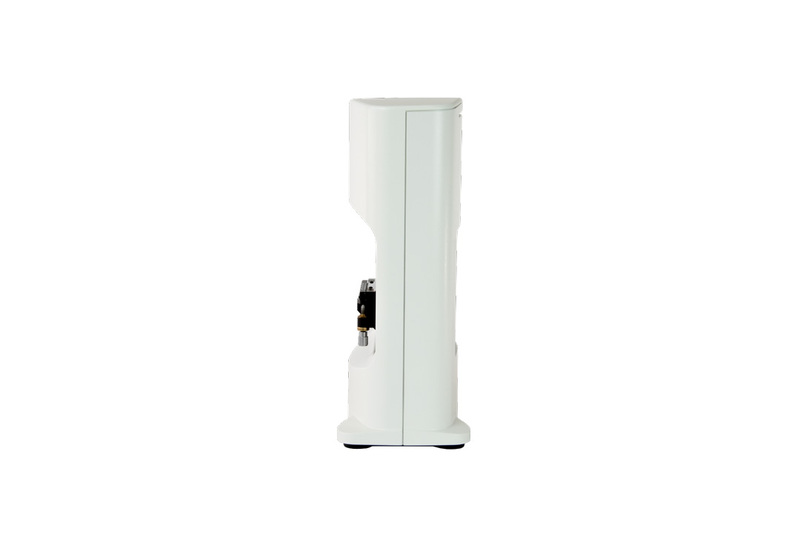 Image your live cells as long as you need in their natural state with a compatible top stage incubator. 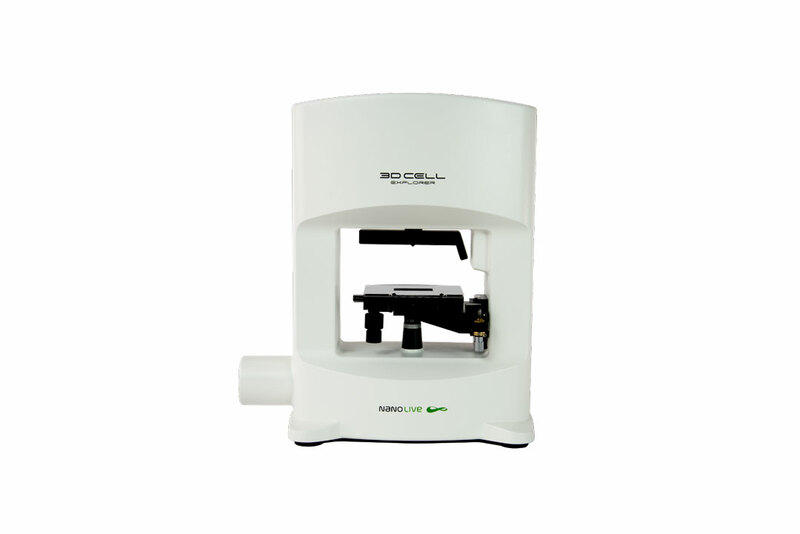 The 3D Cell Explorer measures the quantitative refractive index of each cell’s organelle at every second. Segment this data in 3D using our interactive digital stains based on the cell’s physical refractive index. 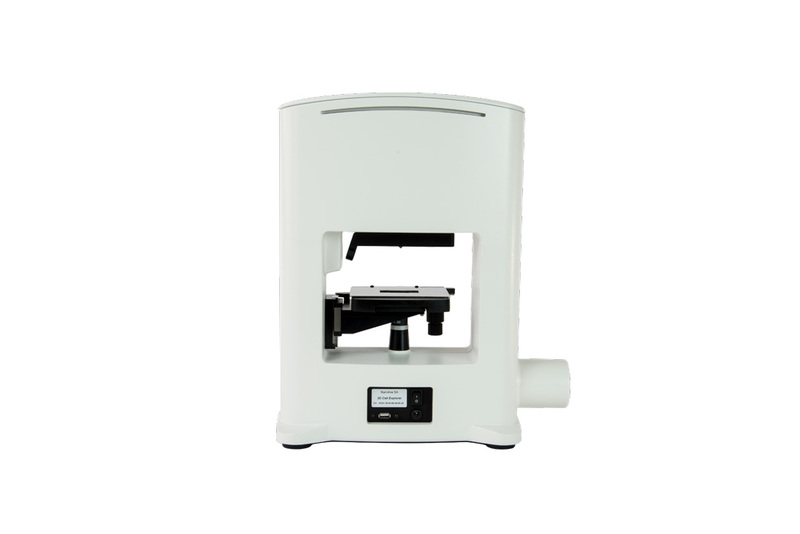 Built to offer you all the space you need to work with a top stage incubator, microfluidic devices, micropipettor and many more. You want to be a pioneer in science? The 3D Cell Explorer is a tool for discovery and we are just at the beginning of exploring all the potential fields of application!